While the need for their expertise is greater than ever, a shortage of rheumatologists has become a crisis in our communities. Patients are often waiting months to see a specialist or driving hundreds of miles while battling excruciating pain and the uncertainty of an autoimmune disease. 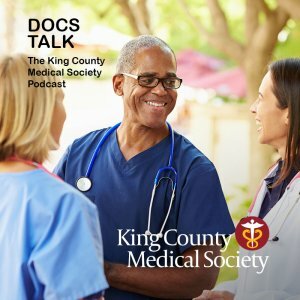 In this edition of Docs Talk, Dr. Amish Dave, MD, a Virginia Mason rheumatologist and King County Medical Society board member, speaks with host Josh Kerns about the current state of the crisis and proposes some short and long-term changes to help mitigate the shortage.